Democracy for America, Howard Dean's group, has (via TPM) launched a campaign to pass health care reform through the reconciliation process. The idea is that while there may not be 60 votes in the Senate to support a public option, there may be 50. And, in the reconciliation process, legislation can pass with just 50 votes, with no worries about rounding up the 60 it takes to break a filibuster. As discussed here and elsewhere, many times, it's an intriguing idea--and not just because it might make a public option possible. Fifty votes instead of 60 means fewer interests to accommodate. 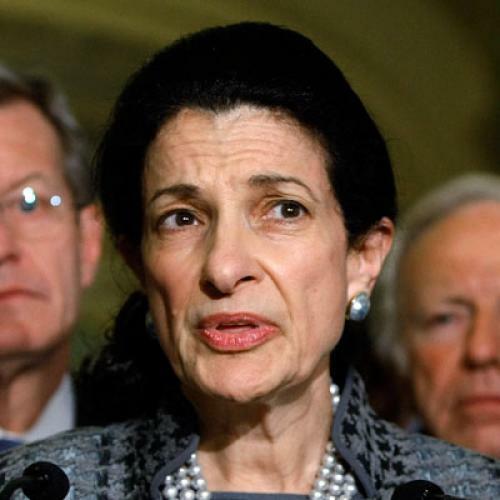 Democratic leaders in the Senate could stop watering down reform in order to appease centrists and Republican Olympia Snowe. With reconciliation, in theory, it'd be possible to get something that looks less like what Senate Finance will take up this week and more like what the House and Senate HELP committees passed over the summer--that is, a bill with better funding, more generous subsidies and financial protection, along with (perhaps) more far-reaching reforms of the medical delivery system. All very good things. But, within the administration and on Capitol Hill, there seems to be very little interest in trying reconciliation. Over the past week, I've put the question to everybody I know. With a handful of exceptions, even those officials and staff who support more liberal versions of reform told me they didn't think reconciliation was a good idea. Sheer unpredictability seems to be the main reason. By now, you may be familiar with the way reconciliation works--and the pitfalls it presents. Under the so-called "Byrd rule," only measures that have a non-incidental effect on the budget may go through the reconciliation process. It is up to the Senate parliamentarian to make that judgment. And it seems at least possible--some, though not all, would say probable--that the parliamentarian would exclude key portions of reform legislation, such as some of the insurance reforms. Reconciliation presents other problems, as well. There's a time limit on debate over the bill itself, so Republicans could launch an official filibuster. But they could introduce an endless stream of amendments. Of course, the parliamentarian might not make so many adverse rulings. Even if he did, the Democrats could always pass what they could through reconciliation, and then try to pass the rest of reform through the standard process. If Republicans tried to gum things up with amendments, Democrats could accuse Republicans of obstruction--and hope that voters see it as President Obama versus Mitch McConnell, a fight Obama probably wins. But--and this is the key point that skeptics make--reconciliation might alienate more conservative-leaning Democrats in the Senate. These Democrats are desperate for Republican cover (even if it's just Snowe). As a result, holding even 50 votes for reform via reconciliation might not be that easy. It could be done, for sure. But, once concessions to those centrists are made, the bill might not look that different from what the Senate would have produced through the usual procedures. You'll notice that the word "might" appears quite a lot in this item. That's because none of these things are certain. It's unchartered territory, amid constantly changing political conditions. With the Finance Committee moving ahead, most of the key players seem disinclined to pursue a path so laden with uncertainty--although that sentiment could surely change, particularly if the process bogs down again. Summing up the consensus, one senior Senate staffer--somebody who'd rather see a more liberal view--tells me this: "Reconciliation would be ugly ... you take half a loaf and fight for the rest later." Is that view correct? I can't be sure. Like I said, there were a few dissenters to this view. But I am confident that, for the most part, the skeptics seem to be making a strategic call rather than a values judgment--i.e., they really think avoiding reconciliation will produce the best bill. Note: I would be remiss if I didn't remind people of an argument my colleagues Ed Kilgore and Noam Scheiber have made: Democrats don't necessarily need 60 "yes" votes to pass legislation through the standard process. They only need 60 votes to break the filibuster. It's certainly possible that Snowe and centrist Democrats would vote to break the filibuster, even if they opposed elements of reform, particularly if they knew they'd still have the opportunity to vote against those elements they didn't like. (Snowe could, for example, vote to break the filibuster and then vote against any amendments adding a public option to the Senate bill.) And speaking of Ed, he has a new item with his own (always well-worth reading) thoughts on reconciliation.